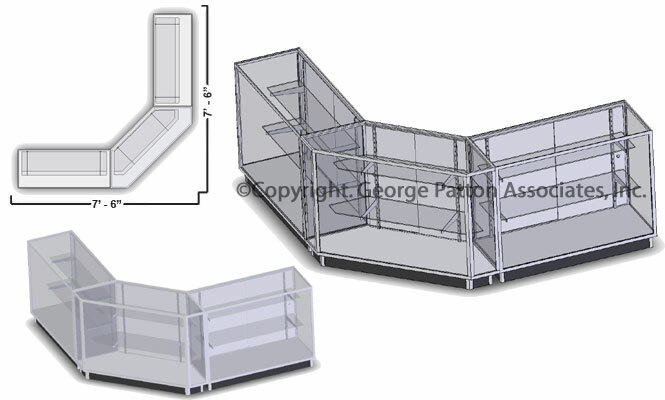 These glass retail counters set up side by side to create an enclosed corner configuration for your sales floor. 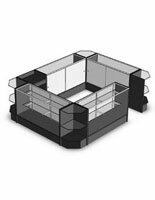 The showcase fixtures offer a "full vision" style with glass comprising most of the cases' design. 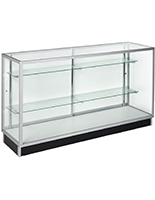 These retail glass counters come in three separate components that feature adjustable shelving. Sliding doors in the back provide access for salespeople behind the counters, and they also lock for security. 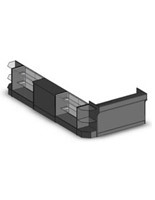 Our retail glass counters feature tempered glass construction for safety. 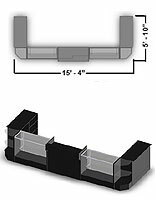 Use these store fixtures for highlighting your merchandise while protecting valuables under lock and key!